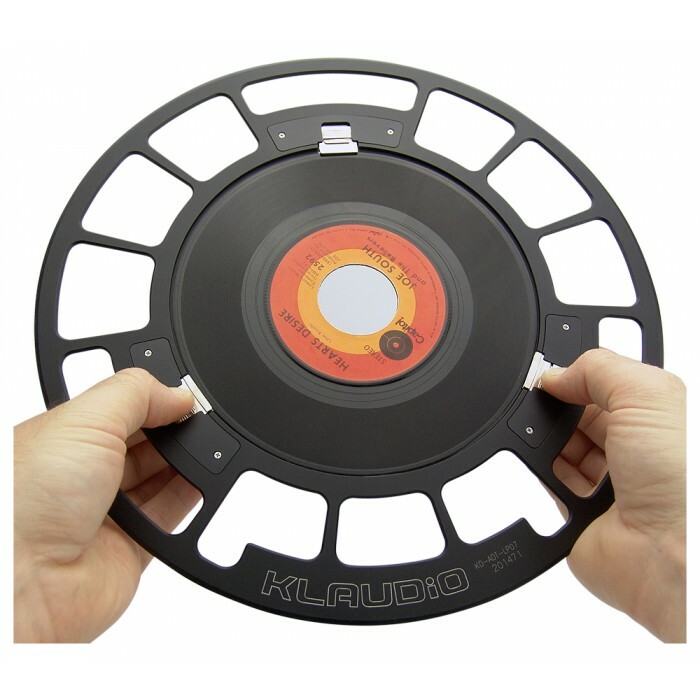 Klaudio's 200W ultrasonic cleaner can now accept your favorite 7-inch 45 rpm records. Vinyl is safely held in place with three locking tabs in this anodized aluminum and brass adapter. To remove the disc, gently pull two of the tabs outward and lift the disc from the rear of the adapter. 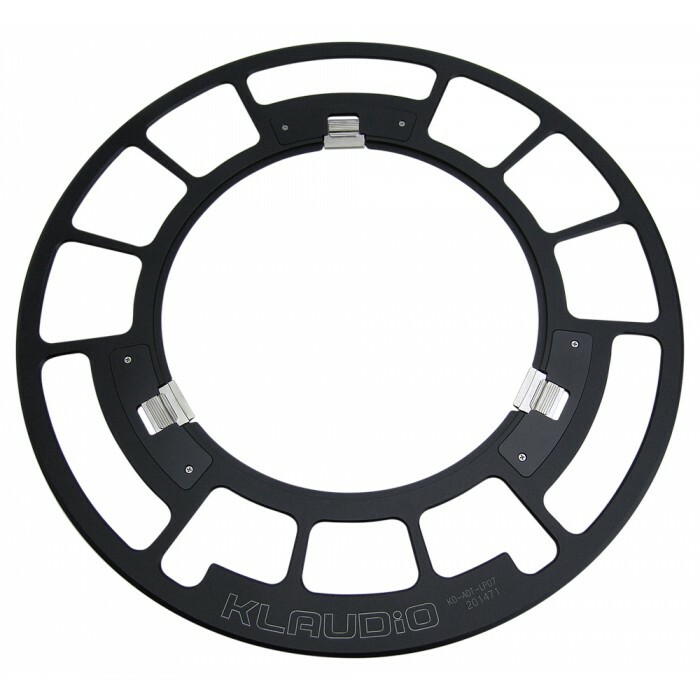 NOTE: This adapter accepts discs with diameters between 170mm and 177mm. Attempting to load too large or small of disc may cause damage to the adapter and/or record.